Nicole is a multiple times CEO, a FinTech entrepreneur and advisor with a strong track record at board and general management level across international markets. Over the last 10 years she has worked across multiple segments within the Financial Technology markets – payments, wholesale banking, transaction services, forex, wealth management as well as traditional retail and supply chain management. Voted Innovator of the Year, 2017 by the South African Chamber of Commerce, Top 100 Women in FinTech 2016 by Innovate Finance and included in the Power Women of FinTech 2015, 2016 and 2017, Nicole is also active in the London and European start-up acceleration, incubation and growth arena working as an advisor and mentor to Level39, StartupBootcamp FinTech, London Tech Advocates – Women in Tech and FinTech workstreams. She is founding member of FINTECH Circle Angel Network, the largest network of independent investors in FinTech in Europe. She has served as advisor to Microsoft Ventures London and been a multiple times judge for SWIFT Innotribe, The European and African FinTech awards and BNP Paribas Global Hackathon. Nicole serves as an industry thought leader and has featured on numerous panels and speaking circuits such as London FinTech Week, Rencontres Economiques (France), London’s African Technology Business Forum and FinTech Africa’s annual conference. 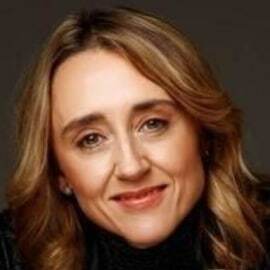 She is a contributing author to the The FinTech Book, exploring the role of corporate venture as a catalyst for innovation in FinTech – www.thefintechbook.com published by Wiley. She has an Honours Degree in Information Systems and Economics from the University of Witwatersrand, South Africa and graduated from the Institute of New Economic Thinking, Barnard College, Columbia University, New York specialising in the Economics of Money and Banking.